Edit design Football scarf Helene , or create your design from scratch. 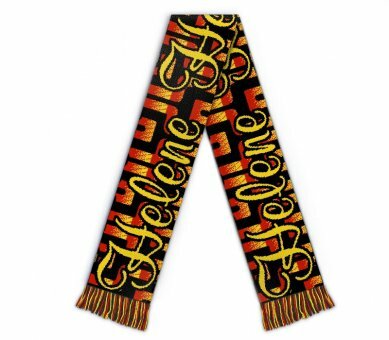 This is the custom merch scarf for your Helen fanclub. Peter, Paul and Mary already got one, Emerson Lake and Palmer had one for years. So start yours today and order custom scarf merch with your online design now.